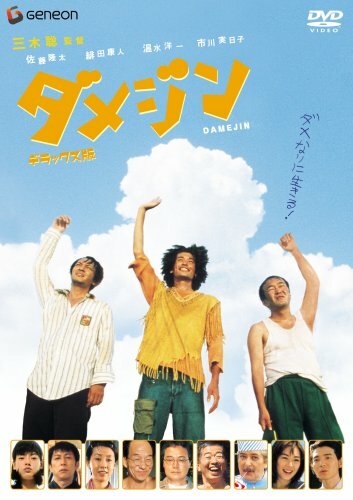 An off-beat comedy about 3 'damejin' (useless persons), who don't work and spend their lives doing nothing. They actually don't want to work. When they hear 'in India one can live without working' they take it seriously. They begin to raise the money to go to India by doing anything but working, such as ripping off stamps from others' letters to sell, robbery at the bank which itself went bankrupt, etc.